Property taxes in Alicante, Spain. - Abbey Properties S.L. Home/Info Denia/Property taxes in Alicante, Spain. TAXES INVOLVED IN BUYING OR SELLING A PROPERTY IN SPAIN. Is the “escritura” the same a a title deed in the U.K? In order to understand the Spanish property tax, the escritura is a public record attested by a notary public. In Spain it is quite usual to have several escrituras for one property, where one would belong to the land/plot, another to the existing property or simply all in one deed. Most properties are sold freehold and every time the property is sold and a new title deed is formulated to the new owners. See also Notaries in Denia, Spain. 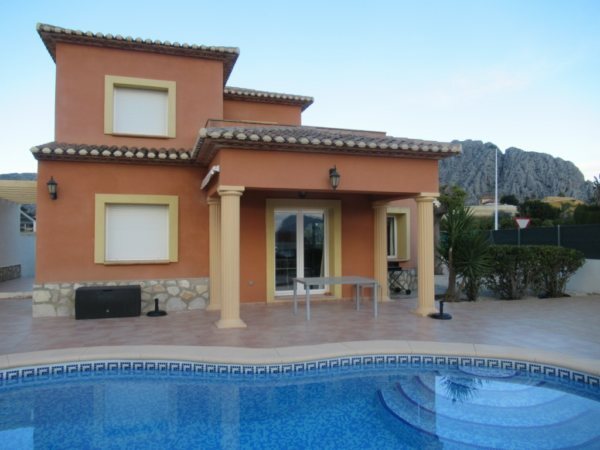 If I sell my property in Alicante, Spain, will there be any capital gains tax to pay? If you sell your property in Alicante, there is a percenteage of taxes calculated from the difference between the declared price on the title deeds (purchase) to the new price on the title deeds (sale) of the property. Residents would have to pay a propert tax rate calculated by the tax Office (Hacienda) and last bills from local public offices in Denia, Spain and Community administrators in Denia, Spain. If I buy a property in Alicante, Spain, what taxes are involved in the transaction? The purchase tax on new property is that of 11% of the full amount payed at that time. The purchase tax on resale property is that of 10% of the rateable value (house purchase price ). for All transactions of sale and purchase on property in Spain would require Notarization and inscription in the land registry of the town where the property is purchased or sold, this cost is another 1% aproximately 1.400-1.600 euros average. What is the position when a purchaser leaves a holding deposit or reserve on a property for sale? The purchasers and vendors will be protected as the estate agents will comply for both parties, formulating a private sale and purchase contract considering the options and timeframes. Depending on the type of contract, there are reserve contracts and downpayments that will hold the property off the market, or a “señal o arras” contract that If the vendors or purchasers decide to change their mind or could not complete the sale (or the sale date could not be extended by any other reason), they would have to pay back the holding deposit in double, securing the sale and purchase on both sides with both contracts serving as a bond to secure the porperty off the property market. We ensure a property debt free purchase, cancelling bank mortgages, ensuring local rates and communal costs are paid, offering our knowlegde and our help at all times. All transactions are lawyer conducted and we can recommend some here; Lawyers in Denia, Spain. If I purchase a plot of land in Spain, can I build a property on it? This is question has an ample answer as every town slightly differs, as where in some areas one needs 10.000 square meters of rural land to build, other areas 12.000 square meters, or another way to build would be to purchase an old house or finca (normally in need of restoration) where you could also purchase less land and still build on the existing foundations. For any building licences for new construction, extension of buildings, licences for pools, garages, etc, the real estate agent or construction companies in Denia would obtain a certificate from the local town hall informing you of the possibilities on that individual property. Taxes on purchasing land is 10% of the rateable value. (purchase price), plus Notary and registry fees. If I purchase a property in Alicante, Spain, would it be convenient to nominate a company for tax liabilities? There are advantages depending on each individual circumstances, where often the cost of setting up a company and administering could outweigh the tax savings, although letting the property for holiday rentals would always give you a good income from buying a property in Spain. Another option where one would declare or nominate the property in the childrens name called “usufructo” where the children would have the right of use on the property (not ownership) . This would also reduce considerably the cost for death duties. for more information enquire with a property Lawyer in Spain. As a resident in Spain and over 65 years old, If I sell my property and purchase another would I be liable for capital gains tax? Any person over 65 on the title deed would be exempt of capital gains tax when selling their principle home. Each circumstance can differ. For more information on this subject, we would need to discuss the matter further in order to obtain the best calculation for your requirements, so please send us an E-mail or call us on Tel +0034 96 5788515. and we will gladly help you out. Abbey Properties Real Estate in Spain.